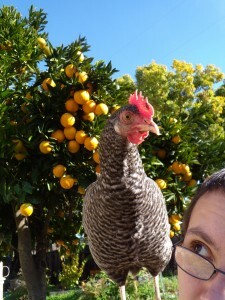 Petunia is at it again! 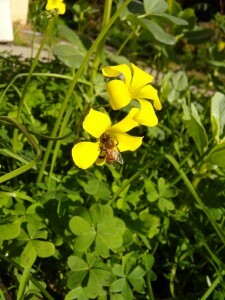 The bees are enjoying Oxalis, even as we make yet another half-hearted effort to rid the garden of it. 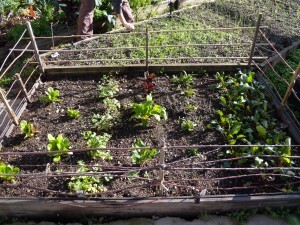 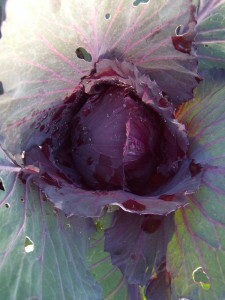 Winter greens, protected by Kelly’s ‘chicken-proof’ fencing. 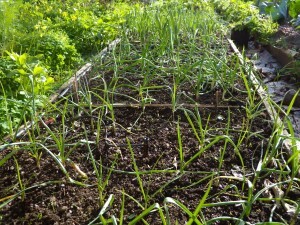 Garlic, onions, leeks, elephant garlic.